Médecins Sans Frontières/Doctors Without Borders (MSF) has decided to suspend the activities of an Ebola Treatment Centre in North Kivu, following a violent attack on 24 February where the facility was partially burnt down. The suspension will severely limit access to essential health services. At 10pm on 24 February, unidentified assailants attacked the MSF-managed Ebola Treatment Centre in Katwa. After throwing stones at the facility, they set parts of the structure on fire and destroyed wards and equipment. The brother of a patient died while reportedly trying to escape the scene. The exact circumstances of his death are still unclear at this point. More than six months after the beginning of the Ebola outbreak in North Kivu and Ituri, the epidemic is not under control with more than 870 confirmed patients and more than 540 deaths. After some successes in stopping transmission in the initial epicenters of Mangina and Beni—and some ancillary locations such as Tchomia, Mutwanga, and Masereka—the epidemic has spread from four to 19 health zones. Previous Ebola outbreaks have demonstrated the importance of gaining the acceptance of the community. Without the communities’ trust, the sick and dead remain hidden and health workers risk being threatened or assailed. People continue to die in the community as health teams aren’t able to gain trust to access all areas, including many that already have limited access to even basic health care since they're affected by conflict. Additionally, people could be exposed to the virus in health centers, which can deter them from seeking treatment. 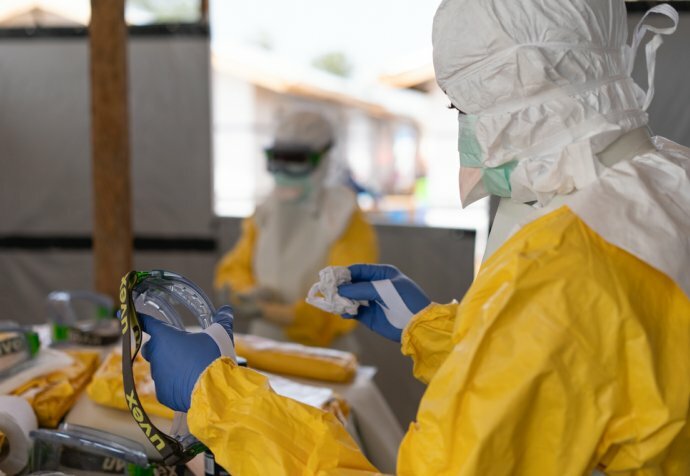 Since December, when MSF began working in Katwa as part of the Ebola response, 602 patients had been admitted to the center, of which 49 were confirmed cases. MSF activities in the Ebola response continue in Butembo, Bunia, Bwena Sura, Kayna, and Biena.